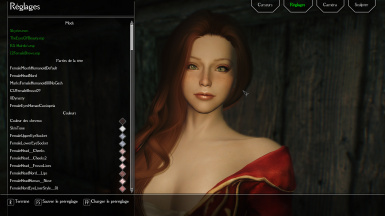 Here for you guys a female vampire preset, And another nord female Preset. 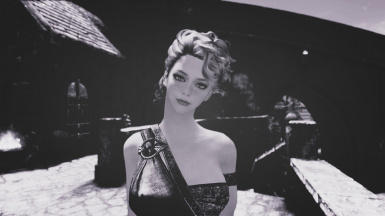 Other mods for vampire character. This two still need edit too, I kknow you'll make better and if you want show me your Customization. Location: Castel volkihar (default)/ Dawguard Fort / Winking Skeever in Solitude if you choose non DG DLC. Isabel is crazy and kick arse of any enemy (includin' the player if you bother her too much or she will dismiss). She'll level up with player (until you're bored of levelin' Up -10 to 299-). She use frost and vampire spells including one custom (isn't custom since it's in DG) conjure Gargoyle, a spell tome is in her inventory to learn the spell, and an enchanted sword that deal more damage to weakling, i mean mortals and other non Undead creatures. She's marriable ( what's the fun in that? ).